From the recent Tanzania trip, photographed in Ngorongoro Crater. Lions generally hunt at night using the cover of darkness to stalk prey and tend to be fairly lethargic, conserving energy, sleeping, during the day. Often they are difficult to see because of long grass in some of the reserves/national parks. 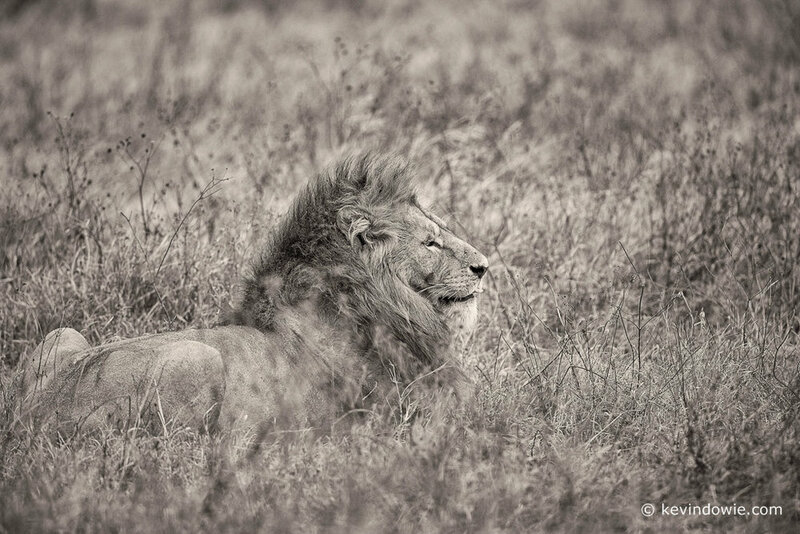 A pride of lions could lay in the grass, concealed, camouflaged and only draw attention to themselves when one of them sits up to take a look around. In Ngorongoro Crater, the grass on the floor of the crater was quite short and so sighting lions and other animals was reasonably easy. Many of the animals seen were quite unperturbed by the presence of safari vehicles and went about their business as though the vehicles and their occupants weren’t there. Canon 5D with 500mm telephoto lens and 1.4 tele extender, effective focal length 700mm F5.6 1/500 second ISO 400. Canon 5D with 500mm lens F4.0 1/500 second ISO 400.